A new exhibition looking at the experiences of Black British dancers over six decades is taking place at the International Slavery Museum in Liverpool. It looks at the origin of a variety of dance forms such as jazz, contemporary, ballet, hip-hop and African People’s Dance. Many of these styles arrived in the UK through varied routes taken by ancestors of today’s Black British citizens. As well as studying dance forms, British dance: Black routes also examines dance groups and features the relatively untold story of Elroy Josephz. Despite being a trailblazer, Mr Josephz’s name is largely absent from the mainstream history of British Dance. Born into a theatrical family, Mr Josephz was a dancer, teacher, actor and producer, who came to Britain from Jamaica in the 1950s. Beginning his career in London with Les Ballets Negres in 1952, Mr Josephz went on to perform in a variety of musical and television productions including West Side Story and Doctor Who in 1970. 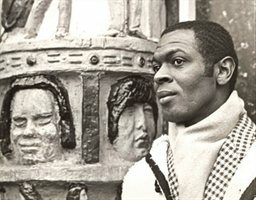 He toured his own professional dance company throughout Europe from 1967 to 1970, developing his own style of dance which fused African Caribbean forms with those of Europe and Asia. Central to his work was his understanding of the historical importance of transatlantic slavery and its legacies. Elroy believed this history gave his work a power and emotion essential to his style of dance. Mr Josephz taught dance to students in both Liverpool and London becoming one of the UK’s first Black dance lecturers in 1979 at what is now Liverpool John Moores University. Today his story is largely absent from the history of British dance, despite playing a central role in changing how modern dance is both taught and performed. However, since his death in 1997 his legacy has lived on through the work of former colleagues and students throughout Liverpool and the UK. Dr Richard Benjamin, Head of the International Slavery Museum, said: “We are very excited to tell the story of Black British dancers. Some of these dance and music forms travelled along the transatlantic slave trading routes from Africa to the Americas and the Caribbean on their way to Britain. “Dancing has a much deeper meaning for Black Britons. Enslaved Africans kept alive their cultural traditions through music and dance. Black people have continued to use and reinvent these forms to retain and express identity. When Black Britons have suffered from racism, dancing has offered a powerful means for affirming positive ways of being Black. “We are delighted to be highlighting Elroy Josephz. Despite playing a central role in changing how modern dance is taught and performed, Elroy’s story is largely absent from the history of British Dance. The exhibition showcases how different dances vary but have qualities in common such as multiple rhythms, and high energy presented in a cool way. This exhibition was developed by De Montfort University and York St John University. It has been funded by the Arts and Humanites Research Council. Ramsay Burt, Professor of Dance History at De Montfort University, said: “We are very pleased to be working with the International Slavery Museum to celebrate what is largely a hidden history. We hope this exhibition will help us to gain a better understanding of the work and careers of artists like Josephz. British dance: Black routes, runs until 23 March 2014.